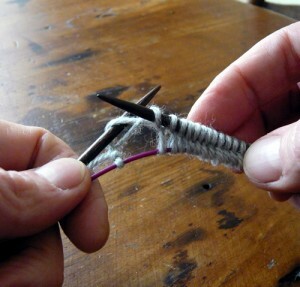 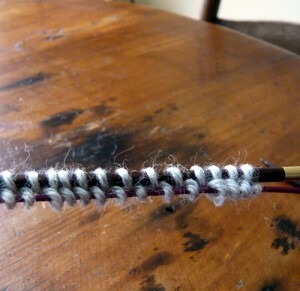 The Winding Cast On is equally useful for starting a toe-up sock or top-down mitten. 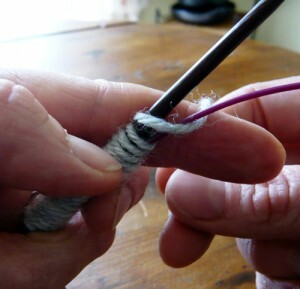 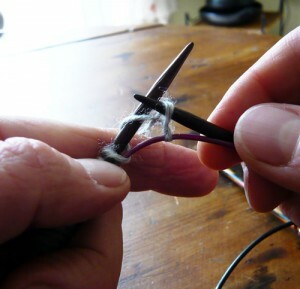 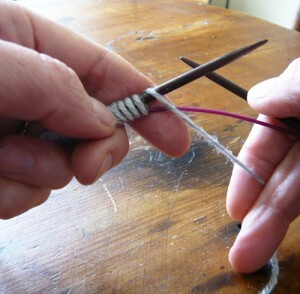 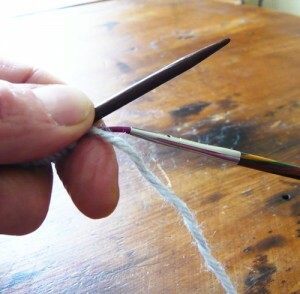 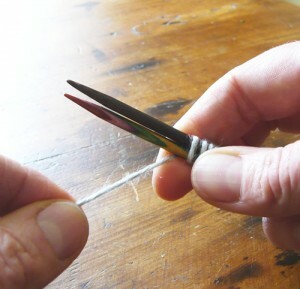 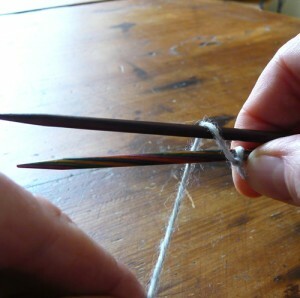 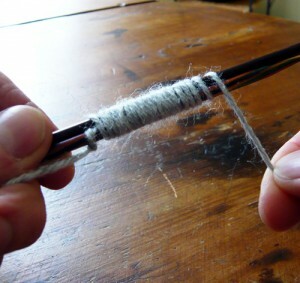 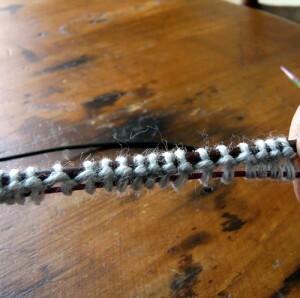 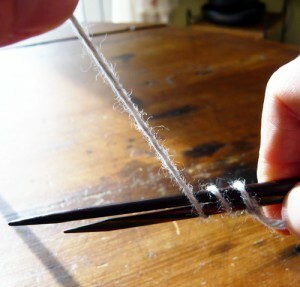 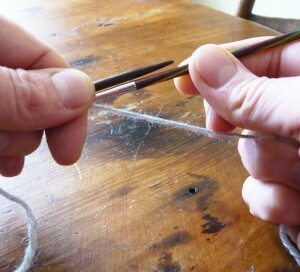 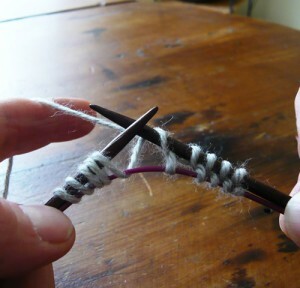 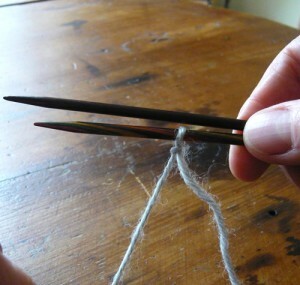 In that case you will knit the live stitches on Needle 2 immediately after knitting back the first row and in this way work in the round – that is, in “two directions”. 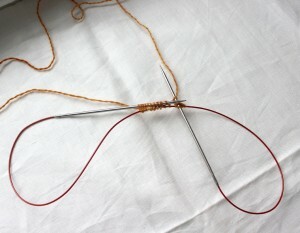 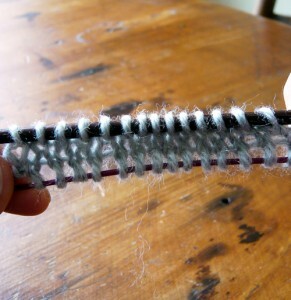 This will require either double point needles or magic looping or two circulars.